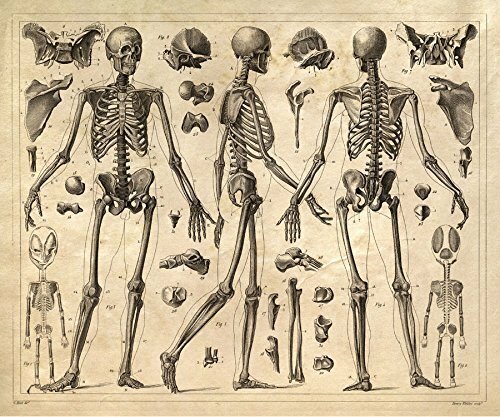 This print features a reproduction of a vintage anatomy illustration from a salvaged antique anatomy engraving by the English artist Henry Winkles (circa 1860) from the text G. Heck's Iconographic Encyclopaedia of Science, Literature, and Art. The original art has been scanned in, cropped, and retouched to ensure the highest quality reproduction possible. This print is digitally printed on velvet fine art paper, 100% cotton rag acid free, 13.5 mil. 16" x 20" - Standard frame size It will ship in a sturdy shipping tube to ensure art is in pristine condition when you receive it. Frame not included. If you have any questions about this product by Curious Prints, contact us by completing and submitting the form below. If you are looking for a specif part number, please include it with your message.